The beautiful of the Indrayanti beach Yogyakarta - You've been to the Indrayanti beach? If you have never been to the Indrayanti beach then you need to plan traveled there. The Indrayanti beach is a beach located in the province of Yogyakarta. If you feel unfamiliar with the name of this beach, it is commonplace. Because it is arguably the beach is still new. Indrayanti beach recently opened to the public. The Indrayanti beach is located in the Tepus sub-district, Gunung Kidul regency, Yogyakarta province. The beach location of Indrayanti precisely located on the east of Sundak beach. As we all know that the Gunung Kidul regency in Yogyakarta, which is capitalized in Wonosari and has the natural conditions in the form of limestone mountains. To the south of Gunung Kidul regency directly adjacent to the Indian Ocean sea. This area is famous for its beautiful beach. Many of the beaches in Gunung Kidul row that has been widely known by the public such as Baron beach, Krakal beach, Kukup beach, Sundak beach, Ndrini beach, and final Indrayanti beach. 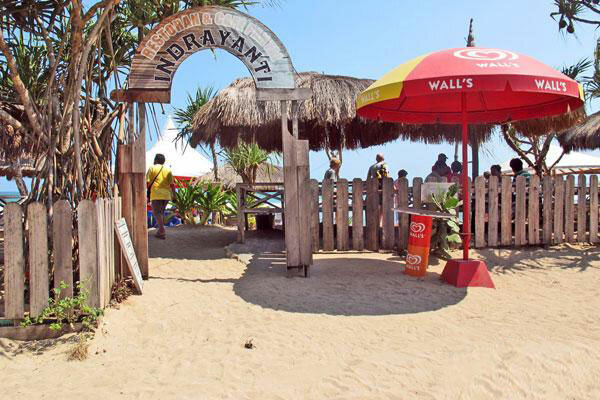 Naming Indrayanti beach in Gunung Kidul is taken from the name of the owner of a restaurant in the area. It started from the nameplate "Indrayanti" display in front of the restaurant. So then people are more familiar with the beach as Indrayanti beach. This naming was controversial because Gunung Kidul regency government has given the name of the beach, the Pulang Syawal beach. However, the name Indrayanti already familiar in the ears of local people and tourists. In the end, the famous beach in Yogyakarta most clean is more popularly known as Indrayanti beach. The active role of the private sector taking part in the management of Indrayanti beach in Gunung Kidul enough positive impact. It can be seen from the entire coastal area kept clean. Even up along the shoreline free of litter. It is not without cause. The manager of the beach did not hesitate to impose fines or penalties on the visitors who litter. This is one reason behind the Indrayanti beach in Yogyakarta is cleanliness. Comfort and cleanliness are managing the mission to keep the coastal resorts of Indrayanti not dirty. A thing of course exemplary by many natural and beach tourism areas in Indonesia. It also helped foster and enhance the self-awareness of the tourists to not only satisfy ego mere tourists, but participated maintain the cleanliness of nature. When night comes, Indrayanti beach is ready to bring a distinct atmosphere. Gazebos that lined the beach appearance, therefore lovely with dim lights aflicker light. 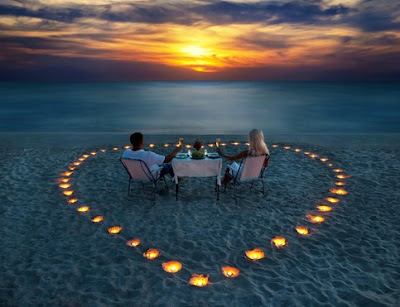 If you return in conjunction with a follower or couple, you'll be able to realize romanticism thick shades within the space of Indrayanti beach. This expertise was complete once ingestion dinner with a lover, in the middle of a delicate gentle wind and also the sound of the waves. What a beautiful memory! After enjoying the cookery offerings at eating place|a restaurant} or restaurant on the Indrayanti beach, you'll be able to attempt another expertise to steer into the hills within the east. Here there's no specific manner, which suggests that you simply ought to be a bit extreme to interrupt through the bushes and shrubs and also the occasional hiking. may well be a bit effortful, however, recognize that it'll all pay off fully once you reach the highest of the hill. From its peak, you'll be able to watch the landscape therefore, Brobdingnagian Indian Ocean stretching on the horizon visible. Occasional, gull flew past the 0.5 brings weeds to create a nest interspersed rustle of the ocean breeze and also the roar of the waves. It's sort of a natural orchestra really charming, lovely and calming. At dusk, this can be wherever the most effective purpose to induce a sunset on the Indrayanti beach most charming. 0 Response to "Indrayanti beach : The beach is beautiful, clean and romantic"
What do you think about the article above? Thank you for your visit. Hopefully the above article useful for you.